I liked this picture so much that I put it on my first business card back in 2012. This is the Balmer family, circa 1898. 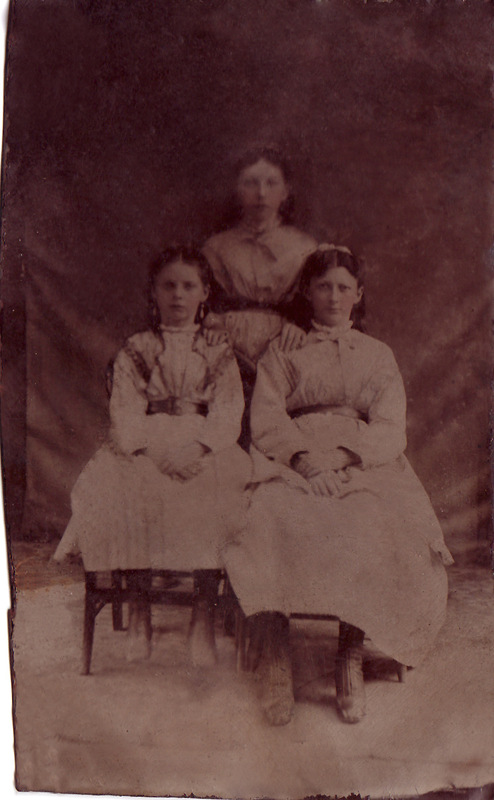 The woman standing at right is Bertha, the subject of today’s episode of 52 Ancestors. She was my mother’s mother’s mother’s mother—my great-great-grandmother, that is—and she’s unmistakable. Can you tell which one is Bertha? She looks to me like she had a very strong personality, and stature to match. 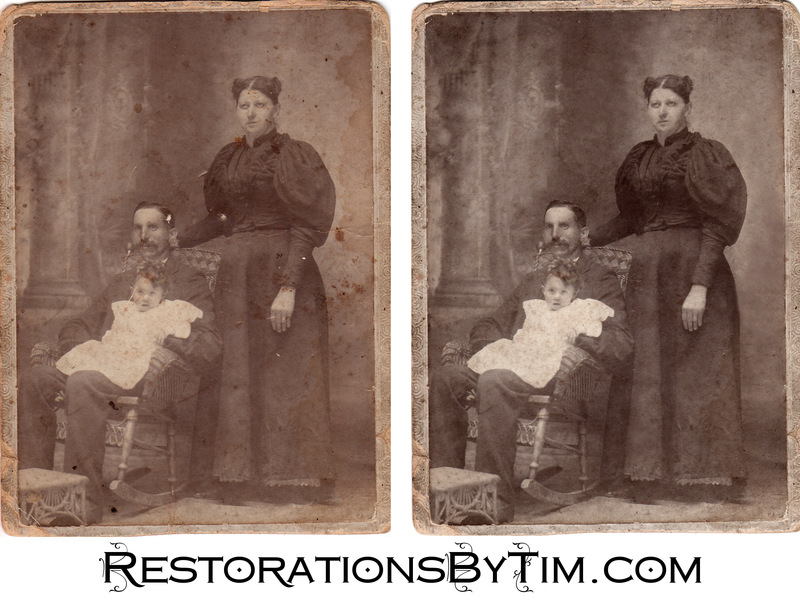 It’s hard to compare Bertha to her husband, Henry, while he is seated, but it looks to me like she could take care of herself. Her most distinguishing features, in my opinion, are her striking and asymmetric eyes, which helped me to identify her readily in an older tintype photograph. I recognized those eyes even in reverse; I later confirmed that tintype photography produces mirror images. Peter and Margaret’s first daughter, also Margaret, was born in Germany. The elder Margaret gave birth to two more children in Germany, one of whom died in infancy. I have yet to account for the other child; I suspect he never made it to America. Peter and the two Margarets arrived in America on the ship Adolphine on May 6, 1854, when the younger Margaret was five years old. A recently discovered and partially illegible 1860 census complicates the family story, but I know that Bertha wasn’t born until 1861, a full seven years after the Staafs arrived. Anne was born in six years later, in on August 6, 1867. Between Bertha and Anne was born another girl, Caroline, about whom I know very little. 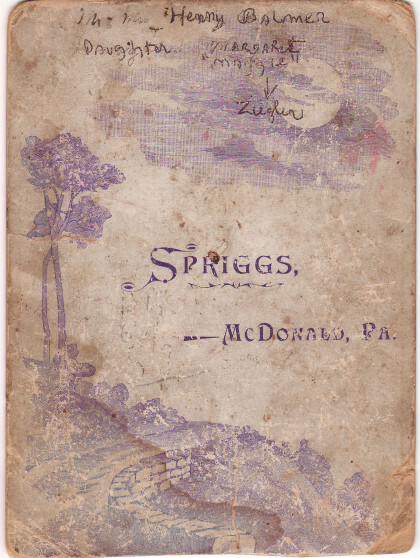 The Staafs arrived in Baltimore, and settled in Butler County, in Western Pennsylvania. The rest of the country wasn’t ready for a double ‘a’, but Bertha signed her own surname as ‘Staaf’. I profiled Mr. Peter Staaf in Episode 22, in which I wrote about how most American documents show the family’s surname as Staff rather than Staaf, as it appears in the German records. 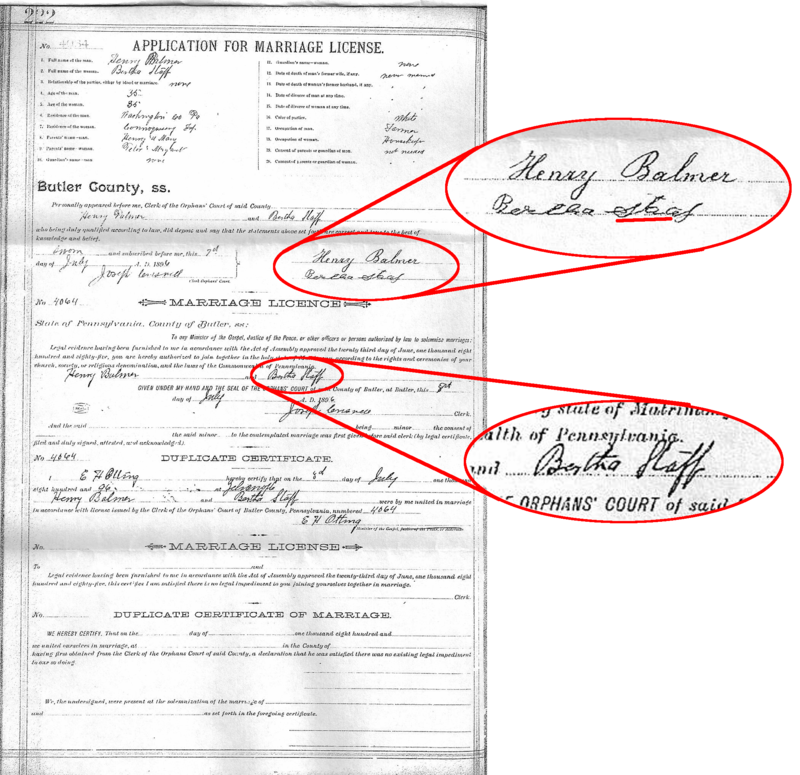 In the case of Bertha’s marriage license application with Henry, She signed her own name Staaf whereas whoever filled out the rest of the document spelled the name Staff. Go figure. Anyhow, long story short: Do check both spellings if you intend to research this family. The reverse of the featured photo shows where it was taken. Anne’s elder sister, Bertha, was my German-American great-great-grandmother. She married a Swiss immigrant named Henry Balmer. Their daughter, Katherine, was my great-grandmother. So far so good. Things get a little complicated when Katherine meets my great-grandfather, Antonino Scaletti, aka Nino, a Sicilian immigrant and veteran of The Great War. Now, the way I understand it, not everyone in this country welcomed the Italians with open arms. Nino’s brother, Giuseppe, for example, changed his name to Joe Scally when he launched his golf course, allegedly to avoid the appearance of Italianosity. Katherine’s parents, Henry and Bertha, did not approve of Katherine’s relationship with the immigrant from Trabia, which explains why their marriage license turned up in Maryland, rather than their home state. Katherine’s family generally disapproved of their union, so I hear, it being tantamount to the interracial marriages of the more recent past. I don’t know quite how strained Katherine’s relationship with her family was. Whether Katherine was merely the “black sheep” or estranged entirely, I’m not sure. I did have the pleasure of speaking with my grandmother’s older brother, Uncle Joe, on the telephone a few week ago. He told me that he did visit his grandmother, Bertha, as a child, so the relationship must not have been all that strained. At least, it could have been worse. Uncle Joe told me also that at the age of seven, he was playing with toys at Bertha’s house while she watched, and she fell and died of a heart attack right there in front of him, on January 27, 1929. The end. Bertha is buried with her family at Clinton U. P. Church Cemetery. This I discovered through FindAGrave.com and corroborated with her Pennsylvania death certificate, which is now online through Ancestry.com. Special thanks once again to Uncle Bob for providing the photo and to Uncle Joe for sharing his experience with his grandmother, the inimitable Bertha Staaf Balmer. 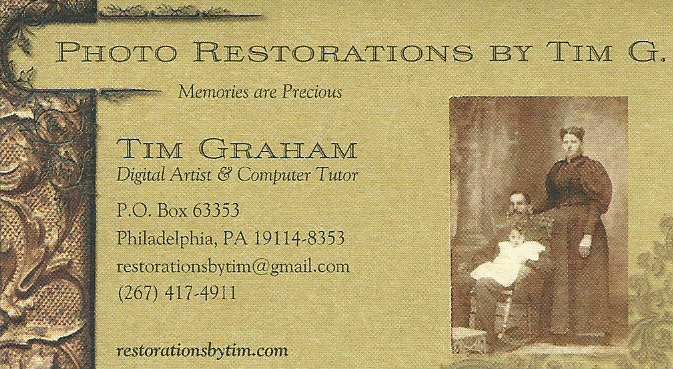 My first business card, from 2012. Don’t send mail to that address! My current P. O. Box is 63332.